The slugfest between the ruling AAP and the BJP which controls municipal corporations has intensified over the sealing drive with both the sides blaming each other. 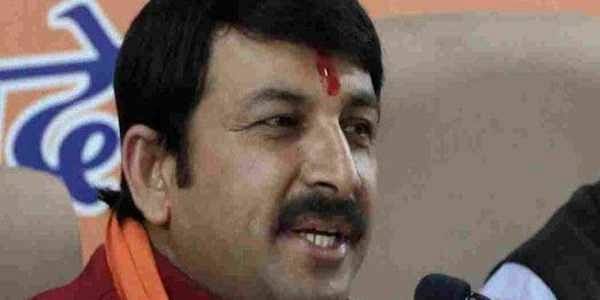 NEW DELHI: Delhi BJP chief Manoj Tiwari, and all party MPs and MLAs from the city will tomorrow go to the residence of Chief Minister Arvind Kejriwal to discuss with him the ongoing sealing drive against properties for alleged violations of civic norms. Delhi BJP general secretary Ravinder Gupta today wrote a letter to the chief minister in this regard. The three BJP mayors and general secretaries of the Delhi unit would be part of the delegation, Gupta said. Earlier in the day, the Aam Aadmi Party alleged that its leaders Ashutosh, Dilip Pandey and other MLAs were detained by police during a march to Parliament against the sealing drive and FDI in the retail sector. The protesters had gathered near the Parliament police station on Sansad Marg for the march, but police did not allow them to proceed. The MLAs, who were not detained by police, reached the L-G office, seeking an appointment with him to discuss the sealing issue. "While MLAs waiting for Hon’ble LG , he left for beating retreat from another gate. We will wait for you sir at your doorsteps," AAP MLA Saurabh Bharadwaj tweeted. In another tweet, he said: "LG house barricaded, MLAs have been asked to wait to meet Hon’ble LG."